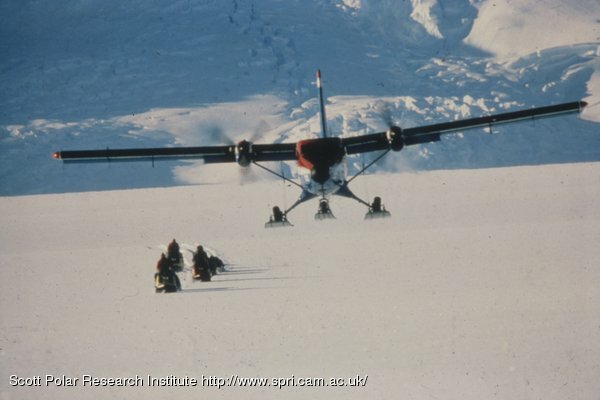 Summary text: Twin Otter aeroplane flies over three snowmobiles being driven over a snow field by three expedition members. This entry was posted on Friday, February 6th, 2009 at 12:09 am	and is filed under Photos: Transglobe Expedition 1979-82. You can follow any responses to this entry through the RSS 2.0 feed. Both comments and pings are currently closed.